More than 83% of healthcare providers are involved in healthcare content marketing. The upward trend is hitting 97% in 2018. Why would you spend money investing on healthcare content marketing when health is a compelling basic need? Ideally, people ought to seek health through thick and thin. But, a candid look into the situation will give a different perspective. Healthcare is like any other business providing essential utilities. Ignoring the power of information in content marketing may be suicidal. Healthcare content marketing involves activities aimed at the promotion of healthcare products. Healthcare content marketing is tricky considering the content niche limitations. However, this presents people with an opportunity of reaching a larger population in every successful venture, pediatric dentistry is a good example of a very focused niche. Health content marketing will comprise contents about health products, equipment, and services. It is a very delicate area of marketing considering the high level of regulations in place since at stake is health. Great caution is essential. Legal compliance and ethical requirements will need great sobriety whenever drafting healthcare content. The importance of the topic should overrule aspirations. Benefits are significant thus it remains to be a necessary evil. 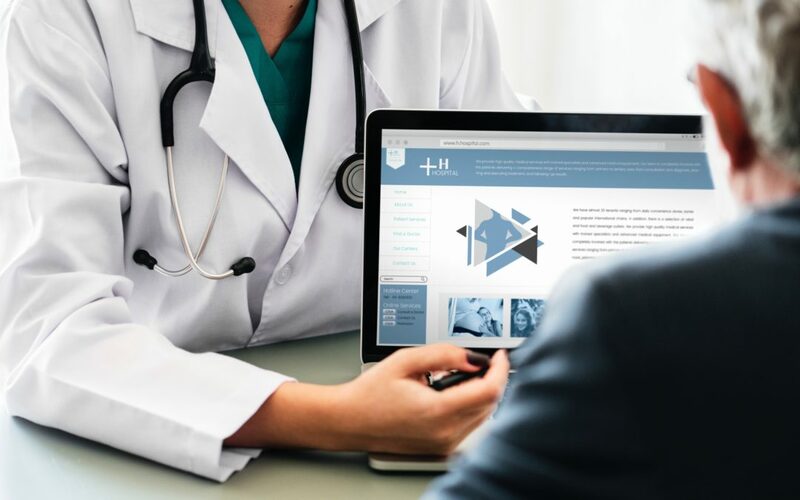 Some of the outstanding benefits of healthcare content marketing include; delivery of valuable information to healthcare based clients, branding your business leading to good reputation and higher profits as well as keeping up with the trend. Approximately 88% of companies worldwide have a plan of practising content marketing at different levels and scale to increase their productivity and healthcare should never be left behind. On the downside, building trust with content marketing especially on health is no easy task. You have to generate marvellous content that shows what you have to succeed. So, expertise intervention may be necessary to trim the limits. Focus on the audience; the message must be drafted to suit a particular target group. Abiding by law; the message should conform to regulations in place to control health practice. Deceitful adverts are not welcomed in healthcare content marketing. Best healthcare content marketing recognizes that healthcare is dynamic. What is true today will be obsolete in coming years and hence, frequents updates are essential. Keep informed with the latest trends. To sum up all these components and generate a compelling content is mandatory. This will fulfill your organization’s objectives without infringements. Quick research and high-level expertise are needed for this purpose. Contracting a reputable firm can aid your way to have excellent healthcare content for marketing purposes. Cleveland consists of a team of experts to present informative and optimized contents that respond to life situations about health. It records over 3.2 million visits monthly courtesy of its true nature of content and user-interface. Mayo intends to create a community where people can freely share their healthcare experience and learn from experts. Considerably success is shown by its large following on social media. Information presented is well scrutinized before posting. Other notable examples include HIMMS, Greenway clinic and Arkansas children’s. All these aim to help improve healthcare using information technology. Having the producer’s interest override the client’s interest. Clients should be at the center stage in any marketing campaign. Selfish gain motives will dilute the influence of a healthcare content. Another mistake occurs in ignoring marketing analytic tool that will inform decisions on the best fit. Lack of interactive presentation will make your content less useful on many occasions. Starting healthcare content marketing without a strategy is a deadly mistake. These mistakes have financial implications and should be avoided by all means. Mechanisms to prevent content marketing mistakes apply for the above errors among others. Well researched marketing strategy forms the basis of a successful healthcare content marketing. Strategizing may look tedious and a waste of resources. However, it will save you much useful time to progress in your business and avoid you of costly mistakes in the future. Healthcare content marketing strategy is embodied in four critical elements; focus, context, clear goals and effective planning. Consumer-driven approach. The approach should be developed with the clients in mind. The clients are the primary stakeholders and should always be at the forefront. You should create interactive content. A good marketing strategy ought to set achievable goals considering your situations. Backing the plan with support and contribution of staff is a promising move. Keeping up to date with the new developments in the market. You should make the presentations lively by using infographics at your work. Massive continuous prose may be annoying to read. Doing your presentation in pictures or video is a commendable move. When preparing your content, you must ensure that it aligns to the strategy of your marketing campaign. Healthcare content marketing has an imagery value. However, healthcare content marketing should be responsive to needs arising during execution. Having too hard to work strategies will limit new opportunities. Monitoring progress and initiating necessary adjustments will ensure you achieve much in your endeavors. Otherwise, the plan gets rendered useless.